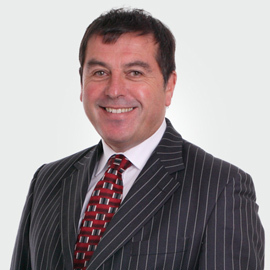 Leading child abuse lawyer Peter Garsden of Cheadle Hulme firm, Simpson Millar, is appealing for people who were abused as children from the 1950’s to the 1990’s; in Manchester City Council run homes including Broome House in Didsbury, to speak out about the abuse they may have suffered. Mr Garsden is the lead solicitor representing alleged victims of abuse in the largest ever group action for alleged child abuse. An earlier cut-off date of June 2014 in which claims for compensation could be made as part of the group action has expired. However, the firm of child abuse solicitors are set to appeal this date at a two day hearing in September this year when they will appear before the High Court in Manchester. Since the June 2014 cut-off date the firm of child abuse solicitors have been approached by a further 30 claimants who are deemed to be ‘out of time’. On the 24th September Peter Garsden will appear before the High Court judge to request that other victims are allowed to join the group action as late comers. If his appeal is not successful he may look to form a third group action. In 2007 the child abuse specialists, represented 168 claimants in the first group action in which he managed to secure compensation amounting to nearly £2,260,000. The group was originally formed in response to a massive police investigation launched by Greater Manchester Police code named “Operation Cleopatra” from Grey Mare Lane Police Station. Starting in 1997 and concluding around 2002, it investigated 66 children’s homes in Greater Manchester, and prosecuted a number of individuals. Manchester City Council Social Services Department ran most of the homes. 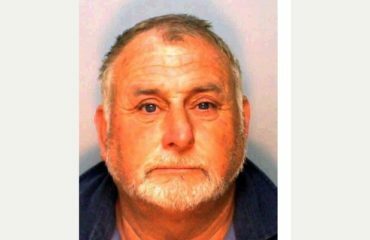 Former Broome House warden and assistant director of Manchester social services Ronald Hall was eventually jailed for 11 years, with Deputy Ian Gray given 14 years and ex-social worker Phillip Roe jailed for 12-and-a-half years. The two Group Action added together mean that the compensation paid out to date amounts to £4,302,510, which is the largest ever pay out in any abuse Group Action. The eventual payout is likely to be over £5 million once all the cases settle. We can help victims of abuse claim compensation as well as providing information about the vast network of survivor groups that exist in the UK. Speak to one of our specialist male or female solicitors in complete confidence if you have suffered abuse whilst in the care of a Manchester City Council ran children’s home. Contact our confidential help line on 0845 604 7075. To read the coverage in the Manchester Evening News click here.